As a tropical island in the Indian Ocean, Sri Lanka boasts a rich culinary tradition with an array of exotic tropical fruits, fresh seafood and spices like ginger, cardamom, cinnamon and pepper. While it bears similarities with southern India, Sri Lankan cuisine can stand alone for its fiery and unique flavours. The most popular dishes come from the Sinhalese majority of the population (mostly Buddhist) but you will also be able to taste dishes from other ethnic and religious groups, such as Tamil (Hindus) or Muslims. If there is one must-try meal in Sri Lanka, it would be the country's staple of curry and rice, cooked and eaten everyday. Lunch and dinner generally consist of several curries (a minimum of three or four, but up to six or more) made with vegetables, fish or meat and dhal. These curries are of course served with a large portion of rice – of which Sri Lanka is a big producer – as well as other condiments (sambol and chutneys). One type of curry you will generally find at the dinner table is dhal curry: it is made from lentils cooked in coconut milk with onions, tomatoes, fresh green chilis, spices and pandan leaves. Coconut is also largely used in Sri Lankan dishes, above all in a dish called Pol sambol (fresh coconut relish). This paste is made from a simple blend of finely grated coconut, red onions, dried whole chilis or chili powder, lime juice and salt. Another key component in Sri Lankan cuisine is Maldive fish, a type of cured tuna that is shredded and used to boost the flavours of a dish. 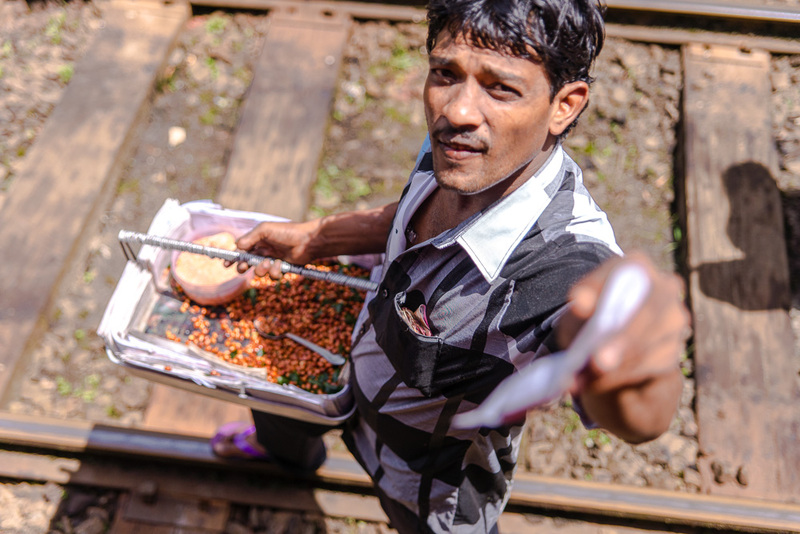 Sri Lankan people love to eat street food, so whether you’re walking along a road in a town or by the beach you will find hawkers selling snacks from small carts. The most common snacks are vegetable or egg rotis, ulundu vadai (deep fried black gram fritters), shrimp vadai or manioc (cassava) chips. Travelling by train you will find vendors selling fruits and spicy peanuts, these are wrapped in paper cones made from children's old school homework. 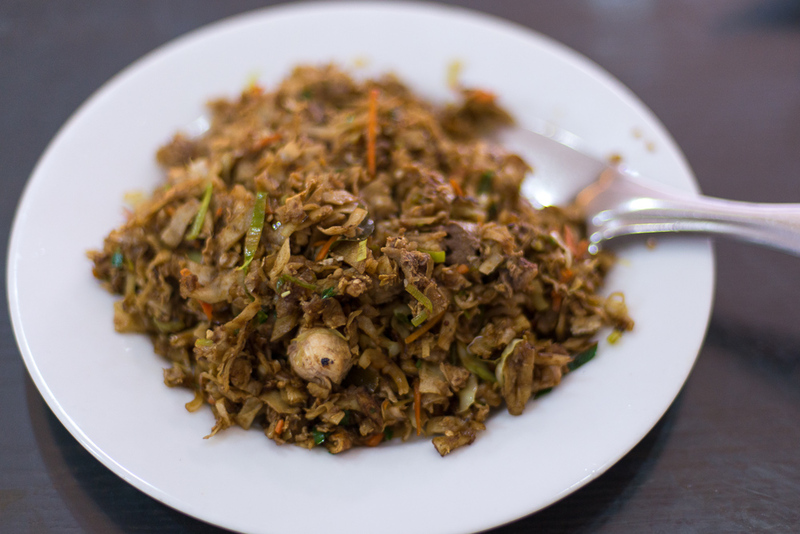 Kottu Roti is Sri Lankan’s fast food: a stir-fry made with pieces of flaky roti (similar to Indian paratha) mixed together with meat or vegetables, spices and garlic. The ingredients are stirred and shredded using two metal cleavers with a wooden handle, while getting cooked on a flat iron skillet. Kottu can be found all day long from small restaurants (“hotels”) or roadside cafés and is served as a main dish. Breakfast is an important meal in Sri Lanka and hoppers (bowl-shaped pancakes) are the breakfast staple food. The batter is made the night before from fermented rice flour, coconut milk, coconut water and a little sugar. 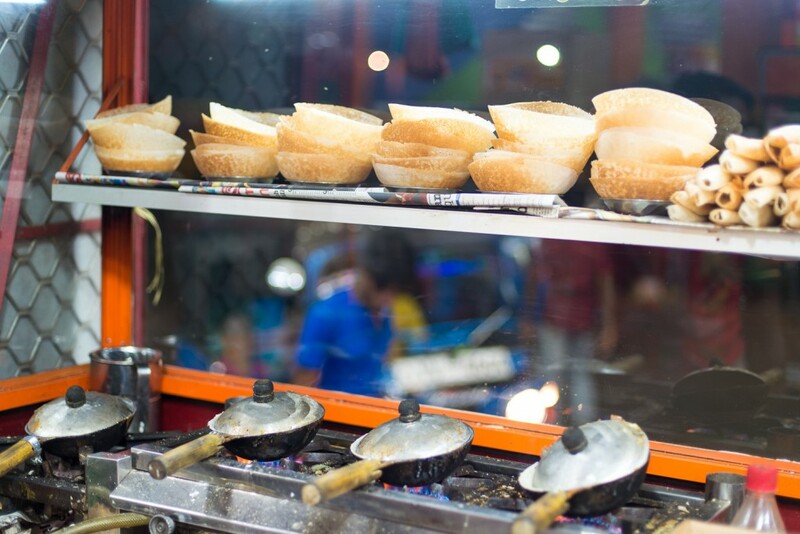 In the morning, the hoppers are cooked in a rounded pan shaped like a small wok (traditionally, hoppers were cooked over coconut-shell embers). Hoppers can be plain and eaten with spicy sambol or coconut relish, but the most popular version is topped with a fried egg. Not to be confused with string hoppers (Idiyappam), a sort of pancakes made from noodles steamed and pressed in a round shape. Kiribath, a rice pudding, is eaten only on special occasions, such as Sinhalese New Year. It is made with thick coconut milk, then cut into wedges and served like slices of cake with seeni sambal or jaggery (palm sugar). 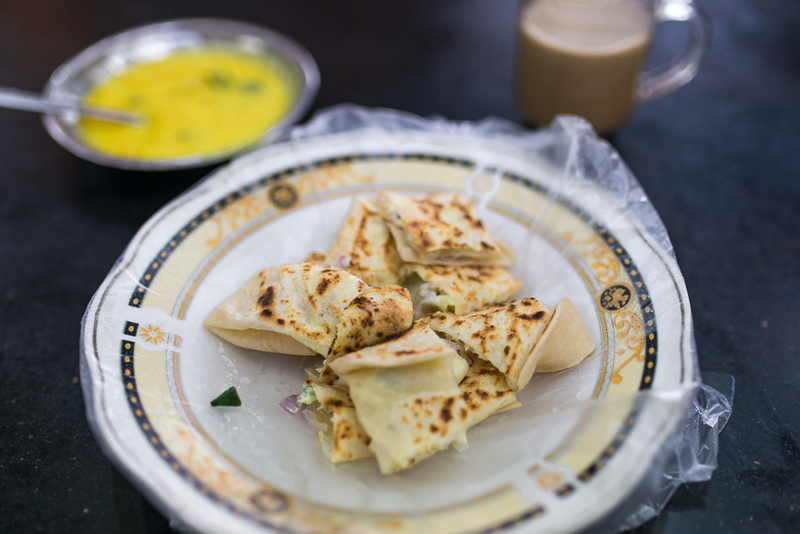 Unfortunately for tourists, authentic Sri Lankan food isn't so easy to find, especially when staying in busy hotels and resorts in Colombo or along the coast. There you'll mostly find watered-down versions of local dishes or over-priced Western-style food like pasta, pizza, fried rice and burgers. The real Sri Lankan food can be found in guesthouses and on the road, on the coast or in the hill country. 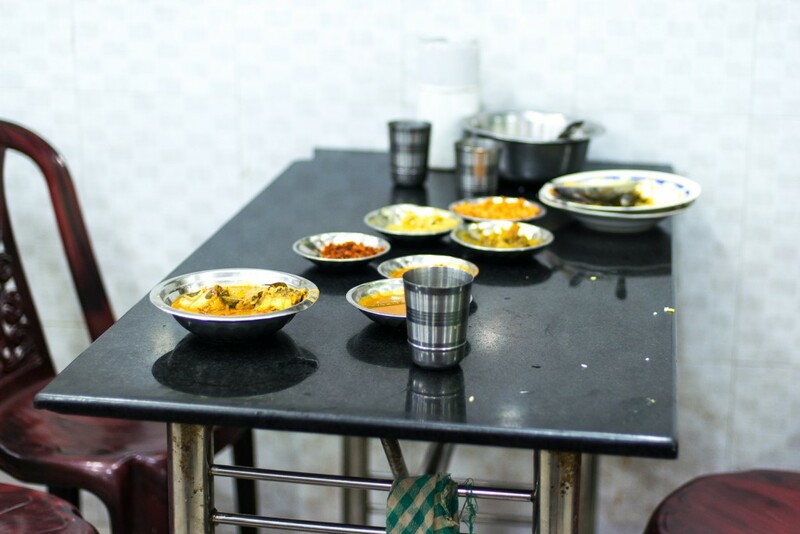 Ask the locals to recommend their favourite places to eat and don't be afraid to try the country’s staple dishes. 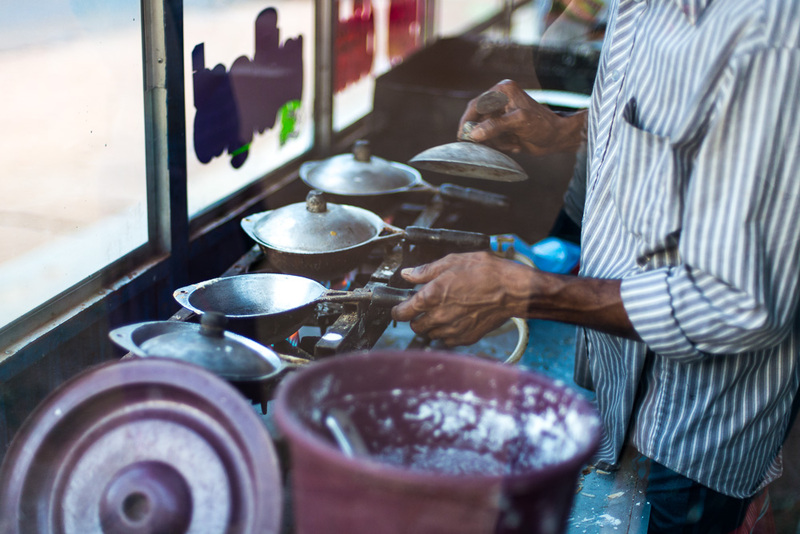 That way, you'll find cheaper and tastier food while experiencing the real Sri Lanka. Giulia Mulè is an Italian blogger and photographer based in London. Her blog mondomulia.com features weekly posts with recipes, restaurant reviews, brunch spots and worldwide travel guides.